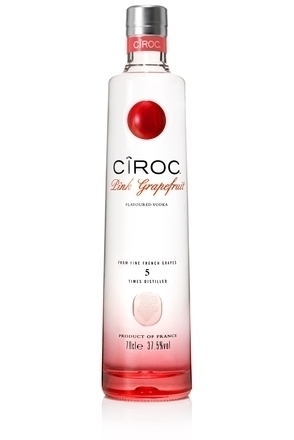 Revolutionary in its production from grapes, when Cîroc was launched in the U.S. in February 2003 it broke the mould of what was expected of a vodka. 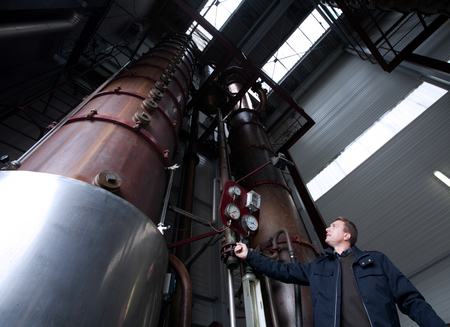 Up to then the perception was that vodka was made from grain – usually wheat, rye or barley. Once told Cîroc was made from grapes people expected this new vodka to taste of grapes. It doesn’t. Instead its complex flavour has delicate citrus notes. Cîroc’s character is best described as being multifaceted with layers of flavour. This is best presented in Martinis and delicately flavoured cocktails, especially with floral, white fruit and citrus flavours. Cîroc was created by Jean-Sébastien Robicquet, a charismatic Frenchman who grew up between Cognac and Bordeaux. Given his origins, it is perhaps not surprising that Jean-Sébastien chose to make his new vodka exclusively from spirits obtain from white grape varietals. Jean-Sébastien’s vision was to create an aromatic wine from the South West of France and Cîroc's tall slender bottle is embossed with a cockerel perched on a cluster of grapes to symbolise France and its grape growing heritage. Some of the grapes harvested in relatively elevated vineyards (over 300 m) contributed to the name Cîroc which combines two French words: 'cîme', meaning summit and 'roche', meaning rock - in reference to the fresh and crispy character they bring to the vodka. 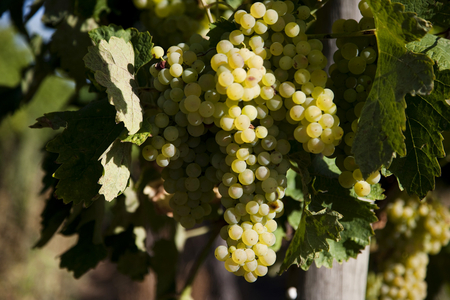 After harvesting, these grapes are left to 'cold macerate' – the origin of the term 'Snap Frost' on the bottle. This involves the skins and pulp of the grape (the lees) being left to rest together at 0-4˚C to concentrate flavours prior to temperature controlled fermentation. These low temperatures are essential to enhance the flavours of the wines but also to avoid the need to use sulphite - the wine maker's friend but distiller's enemy as it can produce bad flavours in the final distillate – not something that’s desirable in high quality distillates. 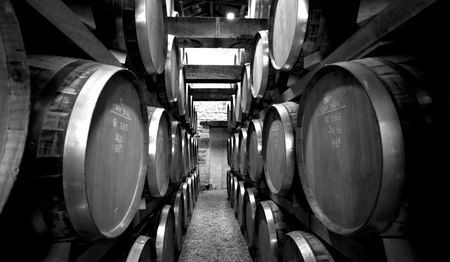 The wine is then taken to Jean-Sébastien’s distillery in Cognac before being distilled continuously; twice, through a copper two-column 15 meter tall column still to a strength of 94% alcohol/volume. Quite separately, in another distillery in Cognac, neutral spirit (96.3% alcohol/volume) made from French grapes is rectified through four column stills to produce an extremely pure spirit. This refined neutral spirit is then taken to Jean-Sébastien’s distillery where it is blended with the cold macerated wine distillate. 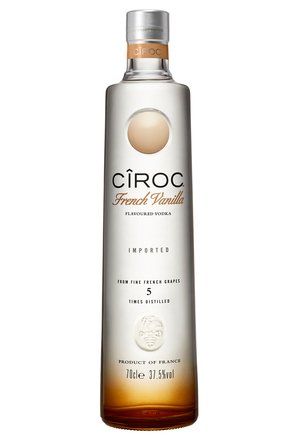 The quantity of this distillate blended with the grape neutral spirit varies by vintage so that Cîroc taste remains consistent year after year. 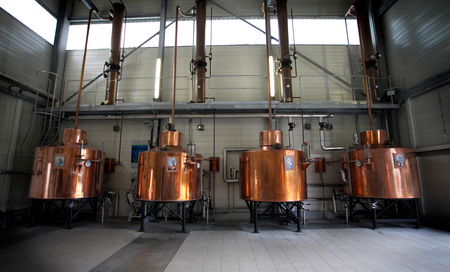 This occurs in one of four specially adapted copper pot stills of 2,000 litres capacity each, the first one was name 'Susie' and her three sisters are named “Debby”, “Gaby” and “Emmy”. Due to a desire to distil these wines as gently as possible, direct heat, as is usual in cognac pot stills, is not used. Instead steam is passed through a coil in each still to gently heat the distillate. The onion shaped head that is usual in cognac stills is not required and so has also been modified. The final distillate is then reduced to bottling strength with very neutral local water. Natural fruit extracts may also be blended to make Cîroc flavoured vodkas. This pineapple flavoured addition to the expanding Cîroc range was launched in Europe in March 2015 after being first released in North America in 2014. 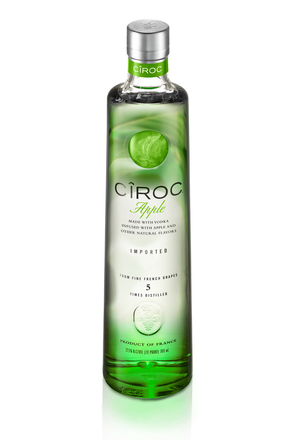 Cîroc Apple launched in November 2015, as the name suggests it is flavoured with apple but also has subtle notes of vanilla. Launched in the UK in 2014, Amaretto is the fourth of the Cîroc flavours.